Opening a restaurant is a remarkable experience, a challenge like any other magnified under public anticipation. Some will compare it to having a child. The birth is exciting, but it is just a part of life, the hard part comes in the day-to-day challenges. 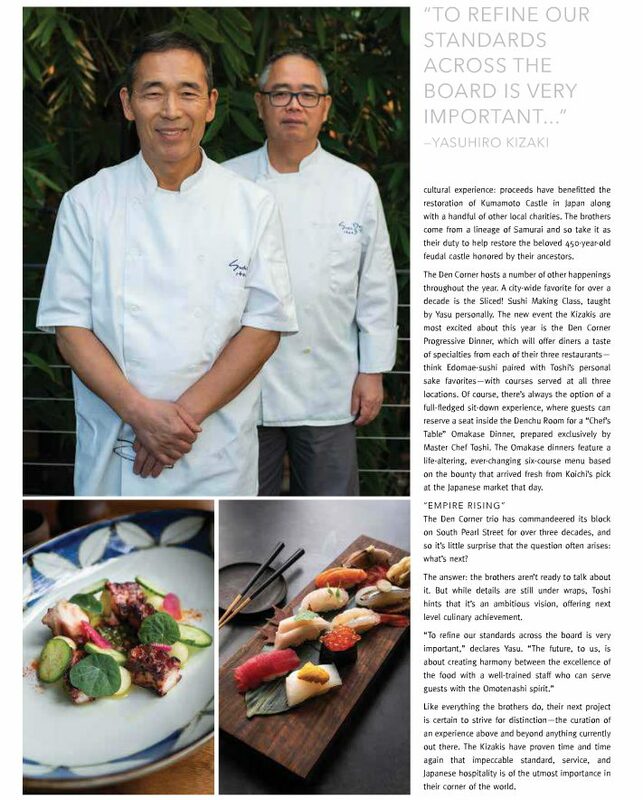 Fresh off the press, Dining Out Magazine details “the sibling mastermind behind the Sushi Den Empire”, who became this inescapable duo of Denver’s food scene.